Several Family Dollar locations in Nye County have fallen out of compliance with state fire codes over the last several months with the most recent issues occurring in Tonopah. Nancy Whipperman/Times-Bonanza & Goldfield News A sign to lead potential customers sits along the main drag in Tonopah on April 8, 2019. The store was served a cease and desist order on April 5 by Pahrump Building and Safety for falling out of compliance with state fire codes. Nancy Whipperman/Times-Bonanza & Goldfield News The parking lot of the Family Dollar in Tonopah at 1301 (Erie) Main Street sits empty on April 8, 2019. The store closed on April 5 after Pahrump Building and Safety ordered a cease and desist order over violations relating to state fire code. Jeffrey Meehan/Pahrump Valley Times The Family Dollar store at 2891 W. Charleston Park Ave. reopened July 24, 2018. The location was one of two that were ordered shut down by Nye County for not complying with state fire codes for rural firefighting at that time. Carolyn Holland/Special to the Pahrump Valley Times A Pahrump Valley Times reader grabbed a photo of the damage caused to a residential home at S. Barney Street and Charleston Park Avenue on July 13, 2018 due to a loose water tank. The tank pictured was owned by the Family Dollar in the area and was one of two reported to be loose. The Family Dollar location in Tonopah was shut down in early April after falling out of compliance with state fire codes. The location reopened roughly five days after its closure, according to a company spokeswoman. 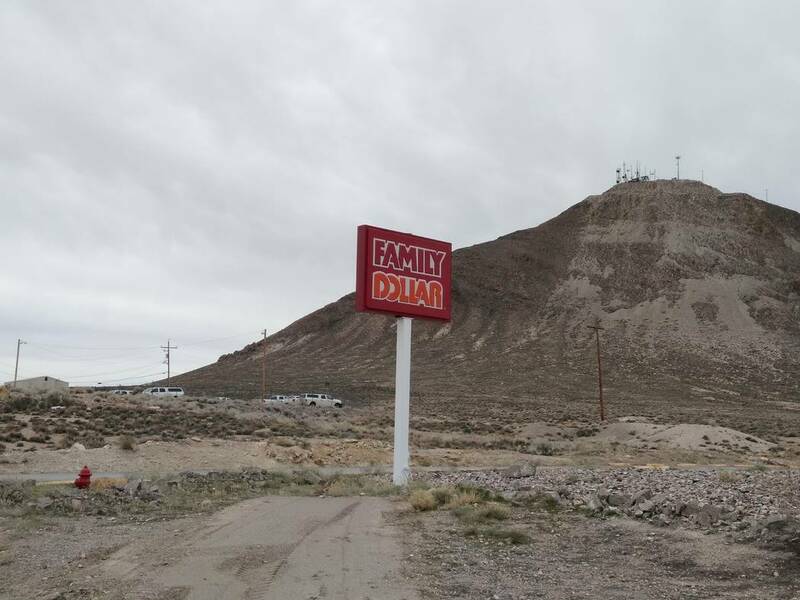 Prior to that, dating back to 2018 and into 2019, Family Dollar has had compliance issues in its Pahrump locations. The Family Dollar store at 1301 (Erie) Main St. in Tonopah was served a cease and desist notice on April 5 due to compliance issues with state fire code, according to a Nye County spokesman. The Family Dollar location reopened on April 10, according to Kayleigh Painter, manager, investor and media relations for Dollar Tree Inc., the parent company for Family Dollar. “We worked with the inspectors, and our store is now open,” Painter said in an email on April 10. Per the original cease and desist notice, the store was ordered to cease operations until it passed an inspection, according to a correction notice from the Pahrump Regional Planning District Building and Safety Department. According to the correction notice, a follow-up inspection was scheduled for April 9. 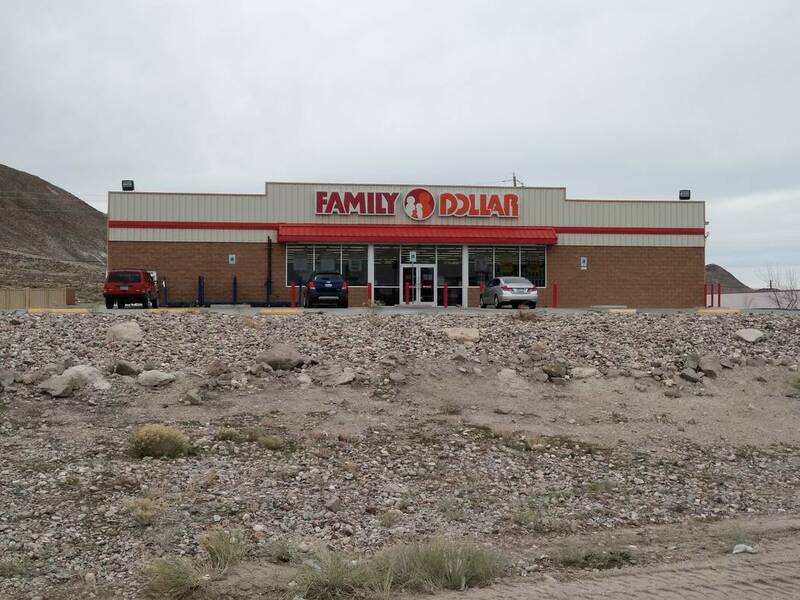 The Family Dollar was also given notice to pay inspection fees of over $800 prior to inspectors coming to the Tonopah store to perform an inspection. According to information in the cease and desist order, several additional notices were served between January and early April prior to the store’s closure. That wasn’t the first issue with Family Dollar locations in Nye County involving compliance issues with state fire codes. “The issues are being addressed through building and safety, code compliance, and Pahrump Fire Rescue,” Lewis said. In the summer of 2018, the Family Dollar store at 3971 Homestead Road was shut down by Nye County officials, as was the store at 2891 W. Charleston Park Ave. Both locations were served a cease and desist order in the summer of 2018 by Pahrump Building and Safety, according to a July 27, 2018 report in the Pahrump Valley Times. The two locations were closed due to “failure to comply with a notice to maintain a 24-hour fire watch,” the report stated. The report continued on to state that “notice came after it was discovered that multiple 10,000-gallon water tanks—which are used for fire suppression—were empty, a violation of state codes.” The 24-hour fire watch notice was sent to both locations because the tanks were empty. Both stores later reopened after the tanks were filled, according to the report. The closures in Pahrump were preceded by an incident that occurred at the Charleston Park Avenue store. 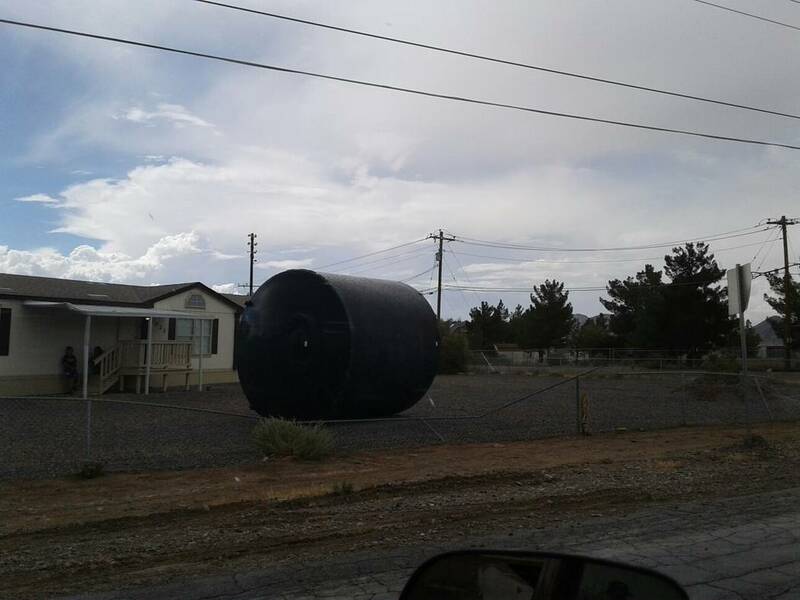 Two of the 10,000-gallon water tanks were blown by heavy wind gusts into a residential neighborhood, witnesses stated in the July 27, 2018 report in the Times. 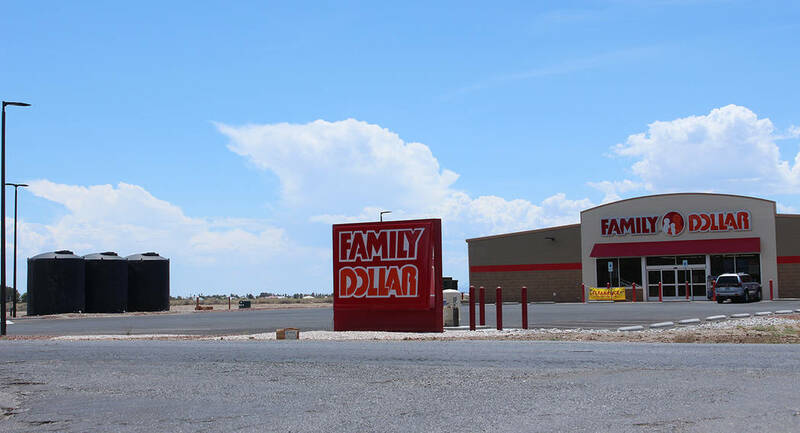 The Family Dollar store in Tonopah operates under its parent company, Dollar Tree Inc., which is headquartered in Virginia, and operated 15,237 stores as of Feb. 2, 2019, according to a Securities and Exchange Commission filing released at the end of March. Dollar Tree Inc. operates its stores under three different names: Family Dollar, Dollar Tree and Dollar Tree Canada. The company only contains two reporting segments: Dollar Tree and Family Dollar. The Family Dollar segment of Dollar Tree Inc. was added in 2015 when the company purchased Family Dollar Store Inc.’s more than 8,200 stores at the time. Family Dollar is noted as a “neighborhood variety store” that carries items for $10 or less in its financial filings.